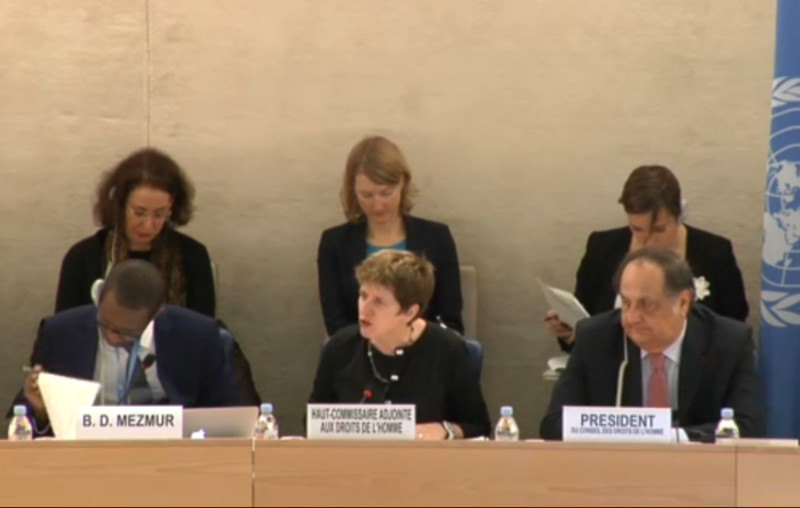 GENEVA – On Monday March 6th, the Annual Full Day on the Rights of the Child was held at Palais des Nations as a part of the 34th session of the Human Rights Council. Members of Civil Society and State Representatives came together to discuss the protection of children’s rights within the framework of implementing the 2030 Agenda for Sustainable Development. State representatives expressed their support for the Sustainable Development Goals (SDGs) outlined in the 2030 Agenda and gave examples of how the integration of SDGs into their countries national agendas will improve the situations of children. Many representatives made reference to Sustainable Development Goal 16.2, which calls for an end to “abuse, exploitation, trafficking and all forms of violence against and torture of children,” as a priority. Ms. Marta Santos Pais, panelist and Special Representative of the Secretary-General on Violence Against Children, asserted that more thorough and reliable data needs to be collected in order to better protect children as she believes “the most vulnerable children are also the most hidden”. As a result, she urged states to strengthen their national statistic offices. Specific groups such as children with disabilities and children living in poverty were also identified as being particularly vulnerable, their situations requiring specific consideration. Follow up on the implementation of the SDGs was also cited as an important part of ensuring the 2030 agenda comes to fruition. The crucial monitoring role Civil Society actors must play in holding governments accountable was emphasized. Finally, Panelists, State delegates and NGO representatives alike, insisted that children themselves must be consulted in the policy-making process in order to craft holistic solutions to the problems that threaten children’s rights today. For a video of the conference, click here. For more information about the Sustainable Development Goals, click here. 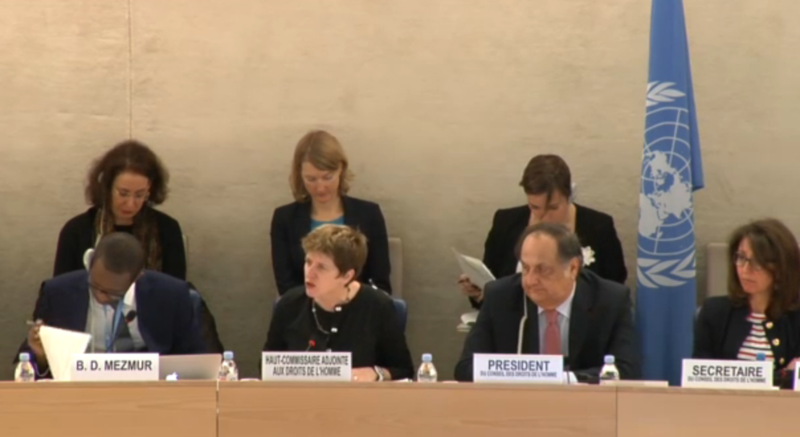 No Comments to "34th HRC Session: Annual Full Day on the Rights of the Child"